The National Socialist Council of Nagalim (NSCN) is set to have a new Chairman with all indications pointing at the impending appointment of Naga leader Qhehezu Tuccu to take reign of the group. Popularly known as Q Tuccu, he is expected to be sworn-in as chairman of the NSCN (Isak-Muivah), according to sources, including NSCN (IM) insiders. Earlier there were some names doing the round but at the end of the day Tuccu’s name turned out to be the consensus choice and he is expected to be sworn-in by Thursday. According to one source,Tuccu will be sworn-in on Thursday in presence of several top functionaries of the group. After the death ofIsak Chishi Swu on June 28, 2016, the post of chairman remained vacant. 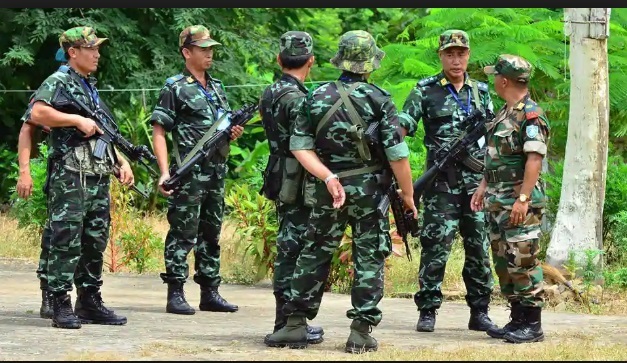 The NSCN (IM) has not taken the chance to immediately appoint a new chairman, which might create rift in the group at a time when the Naga peace process reached a crucial stage. The post of vice chairman is also vacant after the demise of Khole Konyak in December last year. Tuccu has been associating with NSCN (IM) general secretary Thiungaleng Muivah and former chairman Swu. He will also be the president of Government of the People’s Republic of Nagalim (GPRN); the NSCN government. On the political front, the NSCN (IM) appears not optimistic of an early solution, as they want an out of the box solution. Sources said solution will not be possible before the Lok Sabha election and might even take time if the solution is not out of the box. Centre’s peace talk interlocutor RN Ravi had said that there will be only one agreement with the Naga groups, but NSCN (IM) is unlikely to sign any agreement which would be like that of 1975 Shillong Accord. NSCN (IM) source said they will never repeat Shillong Accord and would pursue for a solution which would be acceptable to the people. Recently there was a report that Naga peace process was not moving on expected line. But as usual the Union Government said the “peace process is on the right track”. NSCN (IM) has been demanding a separate constitution and a flag, which are thorny issues, and which the Centre is unlikely to accept. At the same time, the Joint Legislators’ Forum on Naga political issue (JLF) said it would meet all the Naga factions in an effort to give tempo to the Naga peace process.